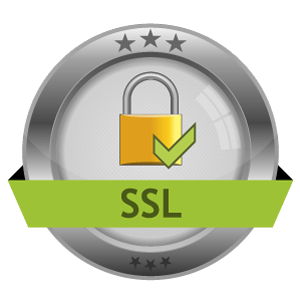 In this guide, you will learn about different types of SSL certificates. Knowing this will help you to get the right SSL certificate for your blog, website, or organization. ► SSL certificates are all about trust. For this type of SSL certificate, domain validation is done using email or adding a DNS record. In simple words, you need to validate your ownership of the domain name. This kind of certificate can be obtained in a few minutes (or occasionally a few hours). This is ideal for those who don’t have an organization & no extra security is needed. It’s the cheapest kind of SSL certificate and is recommended where security is not the most vital factor . This is the minimum certificate suggested for e-commerce portals. The Certificate Authority (CA) validates domain ownership & other information through the use of public databases. The major difference between DV & OV is the company validation is done by the Certificate Authority. It’s not as extensive as EV (detailed below), but potentially better than DV. This type of certificate is highly recommended for any website where a transaction is happening. Obtaining the DV & OC certificates are easy, whereas EV certificates require a strict authentication process. This type of certificate displays the organization the certificate was issued to in the browser. Most banking, finance, and e-commerce site use EV certificates as it offers the most popular green HTTPS address bar. This is going to be an important decision for anyone who is planning to buy an SSL certificate. Apart from the above three, you also need to pick the certificate type based on domains & subdomains you have. Let’s quickly look at the different types of SSL certificates based on supported hostnames. Only a single hostname is secured with this SSL type. Note: A Single Name SSL Certificate can also be used to secure only a sub-domain. Ex: You can secure shop.domain.com and not domain.com. This one secures unlimited sub-domains for a single domain. However, it will not secure abc.pro.shoutmeloud.com. A multi-domain SSL certificate supports all different domains & subdomains. While doing the research for this article, I got to know more about this type of certificate. UCCs allow customers to protect up to 100 domains using the same certificate.